This is a call to action: Democrats are in real danger of losing another election by making the same mistakes they made in 2002 and 2004. The President and the war fever Republicans in Congress are banging the drums for the new wars they want to fight, using the old and false charges they always make, using taxpayer financed propaganda pumped into the conservative media machine, and mainstream media again buys into the big lie. How to Erode Bush's Base: One Man's Journey from Blind Loyalist to Visionary Patriot! Reprinted from OpEdNews.com with permission of the author. A real-life story, of how one man was rescued from the jaws of the democracy-eating Bush regime, saved from drowning in a cesspool of war propaganda and found the Patriot Act was not so patriotic, after all! As many of us do, we have friends, neighbors and relatives that have bought the Bush regime war propaganda machine, wrapped themselves in the flag, and have followed their irreverent, feckless, lying leader in the march towards fascism. Few, if any, ever really understood the true underpinnings of this remorseless, vile man. Few, if any, realized they voted against their own civil liberties and helped bring to power one of the greatest threats ever to confront our nation and its democratic form of government. 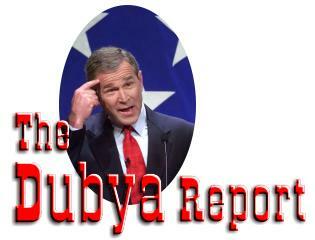 Read more about How to Erode Bush's Base: One Man's Journey from Blind Loyalist to Visionary Patriot! Progressives have fallen into a trap. Emboldened by President Bush's plummeting approval ratings, progressives increasingly point to Bush's "failures" and label him and his administration as incompetent. For example, Nancy Pelosi said "The situation in Iraq and the reckless economic policies in the United States speak to one issue for me, and that is the competence of our leader." Self-satisfying as this criticism may be, it misses the bigger point. Bush's disasters -- Katrina, the Iraq War, the budget deficit -- are not so much a testament to his incompetence or a failure of execution. Rather, they are the natural, even inevitable result of his conservative governing philosophy. It is conservatism itself, carried out according to plan, that is at fault. Bush will not be running again, but other conservatives will. His governing philosophy is theirs as well. We should be putting the onus where it belongs, on all conservative office holders and candidates who would lead us off the same cliff. President George W. Bush justifiably casts himself as the apostle of the Reagan Revolution begun by his father's predecessor. But Mr. Bush may find in his second term, as Ronald Reagan did before him, that he must overcome resistance as much from his friends as from his adversaries. Conservative commentators William F. Buckley and George Will criticized Reagan for entering into nuclear arms reduction agreements with the Soviets; as Bush began his second term they had already begun to question the wisdom of the Iraq war. Where Reagan combined anti-Communist rhetoric with efforts to find diplomatic common ground with the Soviet leadership, however, Bush "has no Gorbachev with whom to negotiate, and no known exit strategy from Iraq. His relationships with many traditional allies are strained." Convicted Watergate felon Charles Colson. by John H. Conyers Jr.
Reprinted from the Chicago Defender. The mainstream media seems to be waking up to the idea that all of the post-election talk about a mandate was just that: talk. Under the understated headline, "Doubts About Mandate for Bush, GOP," the Washington Post reports that the President's poll numbers are plummeting, his social security privatization plan and cuts are unpopular, and Congressional Republicans are abusing their power and are, likewise, very unpopular. They conclude that maybe there was never a mandate after all. In other words, they conclude "the main question facing Bush and his party is whether they misread the November elections." A couple of points. First, this is a significant story.